Game over… let’s move on to the much bigger challenge of what to do with the growing stack of unused plant pots likely lurking in corners of your greenhouse, shed or garage at this time of year. Does this look familiar? “This is an All Year round commitment offering this service. 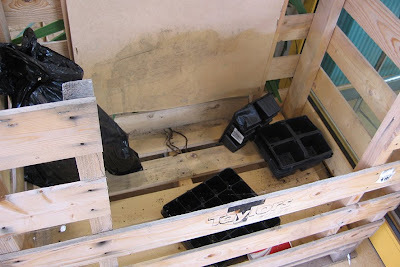 We collect the plastic and add it to our own store generated plastics and polystyrenes. This is then compacted here on site and sent through a third party to be recycled. Great news, they were being recycled and on a wider scale too! However, I do remember at the time thinking this was a slight shame that charities, schools, clubs and people with little spare cash couldn’t benefit from this free collection. Last week I enjoyed email chat with quite a few people through my blog. The week started off with a photo of hedgehogs. Forget the stacking of pots… have you ever seen so many hogs at one time? Sparrowhawks were next up on my email topic list. Oh… but I’ll come back to that one though! 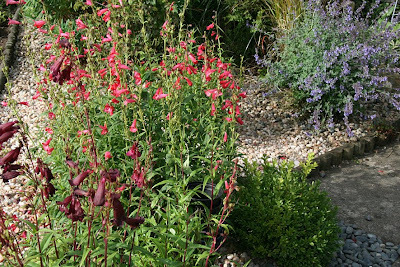 Great stuff to come there :-D However, last week I found myself thinking about all the jobs I should be doing in the garden, pottered a little… yep and you’ve guessed it… came back to the question of recycling plastic plant pots. Who takes them now? Collection box at Dobbies, Perth. Thanks, Graham and Ian :-) I do believe Dobbies has other plans that may be of interest too so I look forward to hearing about them in the future. Of course, I am located in just one small part of Scotland and there are many, many Garden Centres here in the UK and around the World too. Do you know of somewhere that collects used plastic plant pots? Oh yes… not just Garden Centres… perhaps your local council or recycling centre takes them. I’d like to extend this question to all visitors both inside and outside the UK too. 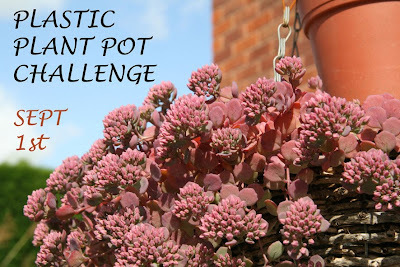 Just a thought… no pressure at all on other bloggers (I know what this time of year is like for posting) but perhaps you might want to share what you do with your unused plastic plant pots in a brief posting. Perhaps you have great tips for re-use? Remember the Desert Island Plant Challenge? So many people got involved with that one. What a blogging buzz there was that day… enjoyed by all! So… just how ‘hot’ are plastic pots? 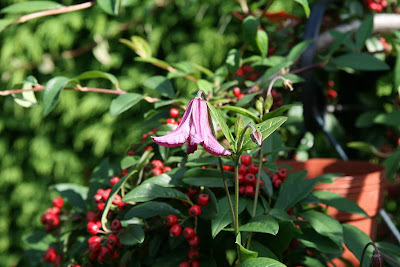 All photos above were taken in my garden between August 24-26th 2009 unless otherwise stated. Very interesting about the pot collections… I’ve never noticed a box at our local Dobbies… I just happen to be going this Saturday so I will check if they have one. I much prefer that they are reusing their pots and to be honest I feel they ought to reuse them all unless broken/damaged. In general I do re-use mine a lot for growing seedlings and such, however the pile is ever-growing as I buy in more than I re-use. I, also, have an ever growing pile of empty plastic plant pots. Some are used for sowing seed but many are just cluttering up the greenhouse. I know a local garden centre was taking them last year but haven't seen any mention this year. I wish my pile of pots was as restrained and tidy as yours Shirl! I don't think we have anywhere locally that does things with plastic pots, most people I know give them to me (sigh). I have been reading/thinking/looking in to biodegradable Vipots, but it works out more expensive. Hi there Liz, yes this is one of these ones that you don’t consider… until you do!! Ah now… perhaps all Dobbies stores don’t provide a box that is visible… but still provide a collection box. I visited another store in my area and they didn’t provide a box. I asked at the information desk and they told me you could leave them at a desk in an area where they provided help. Ah… it would be great to hear if your ‘local’ was doing this now. Perhaps, they don’t advertise they take them as so few bring them… chicken and egg perhaps. Signs would be good with an obvious collection point that everyone passes by. That’s a pity there isn’t somewhere near you in Wales that collects unused pots… except yourself!! How about your local council or gardening club would they not take them off your hands? Now, yes there’s a thing. I got so distracted with research for this posting (hence it took so long before I started writing it late last night) and came across biodegradable pots a few times. Although I suspect until costs come down with products like these (or the garden centres take the hit for the difference) we won’t see them appear at the sales tables for a while yet. Nice plants in the plastic pots. I avoid plastic pots as far as possible, and use the cheaper clay pots which are useful even when they are broken or cracked.I don't know how long there will be a supply of these. 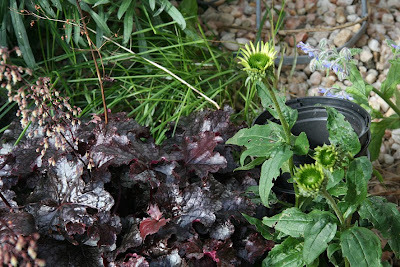 Just wondering… what kind of containers are plants sold in where you live? I haven't heard of anyone around here recycling plastic pots. I sure wish they did so. I could make a fine donation. I love the shot with all those hedgehogs. They are so cute. Hi again Shirl. As it happened I was going to my local branch of Wyvale in Louth, Lincolnshire today. I asked and was told that they used to but they then had to dispose of them so they are not bothering any more. To me that is a typical Wyvale attitude, round here anyway. It was such a nice nursery when it was locally owned. You crack me up with the plastic pots !! I should show a picture of mine...what a mess. I don't plan on coming back with too much from Dobbies... But I know how things don't always go to plan, but I am looking for Cyclamen, various seeds and hopefully cheap summer bulbs past their best. Naturally if I see something that I've been looking for previously then I may just have to pick it up! The original plan was to pick up some things for a pond for Pete's birthday in a couple of weeks. Only he's gone and dictated exactly what he wants, so that plan's down the pan! Hi Shirl, I used to have a huge cobwebby stack of old plastic pots in the shed but realised I would never need most of them so when we replaced the shed I disposed of a lot in the plastics recycling bin. We don't have a Dobbies or a Wyevale here. 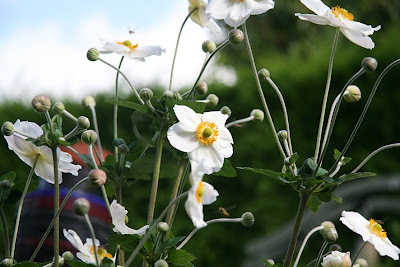 I loved your photo of the Japanese Anemone but it has given me a distinct feeling of unease! I have a horrible feeling mine have disappeared without my noticing (I have rather neglected the garden lately :( ) I now can't wait to go out and see in the morning. 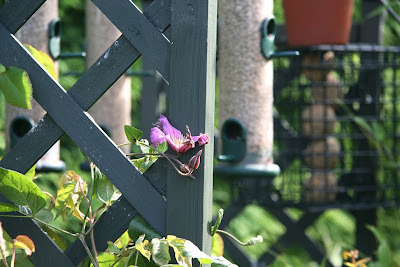 Unfortunately we do not have a good solution yet for all the new plastic pots that every year come to our gardens here. I sometimes succeeded to give them back to very small nurseries if the pots all have the same size. The big gardencenters are not interested to take them back. Luckily there always are some friends who needs a little seedling, a cutting or a divided plant ;-)!! But still then, the problem is here. 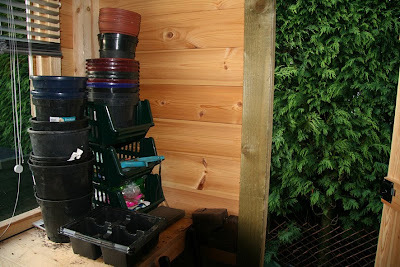 Hi Shirl: This was really useful and I shall now try and find somewhere to take those hundreds of used pots to - my greenhouse ... and garage... are now full of them and I have been wondering what on earth to do with them, because they can't even go on the bonfire. Hi Shirl, your stack of pots is so neat and tidy. Mine are scattered and strewn all over the garage floor. My husband is asking me to please do something about them! I recycled (in a bin that the garbage collectors take) quite a LOT of them earlier this summer. I still have more to go. I tried asking around about this same thing earlier in the summer and it seems the garden stores don't want them back! I'm getting ready to fill up my recycling bin again this week...I really don't need to hold onto most of them. Your idea sounds interesting...I'll check back and see how it goes. Hi again John, thank-you for a second comment and update on your local garden centre. That is a great pity to hear they’ve stopped taking plastic pots. From the emails I’ve sent out this is a tricky one for the garden centres too. Although I am very surprised to hear this about Wyvale after watching the video on the BBC from last year. Hi again Shirl. I won't get an A+ for spelling. I should have put Wyevale - in case there is another company spelt without the e.
Good luck with the cyclamen… I’ve not had success with that here. They make such a stunning carpet. BTW I saw the sedum rose carpet for sale at the weekend (my hanging basket) but at a smaller garden centre. I never have enough plastic pots - honestly, I actually had to buy some new ones this year! I would have loved to have been able to get second-hand ones instead. 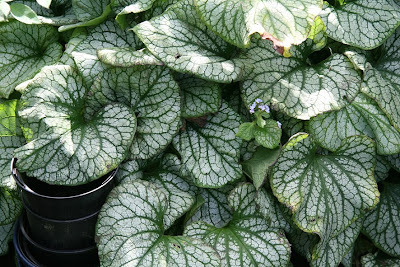 I need a lot of them because we've been about to move house for about four years now, so I haven't been planting much into the ground, and I have been taking cuttings and divisions of a lot of my plants, and they've all been outgrowing their pots and having to be put into bigger ones. I imagine once we've finally moved and got the new garden sorted I'll have a pot mountain! I think there's a Dobbies in Milton Keynes though, so perhaps I'll be able to find a home for it there. Not sure if I'll be using Mr Linky - there were some problems with it a while back and I see the ABC Wednesday crew are using Mr McLinky these days! VP – Brilliant, I’m glad I could assist ;-) Now, I really do mean that I am thrilled you have joined me with a posting on this. I was wary on publicising it too much as I didn’t want to put pressure on other bloggers at this time of year but on the other hand the pot mountains will need to be climbed/felled as Autumn approaches and that was my thinking. Phew… I am delighted to hear OOTS is going out on Thurs now… tomorrow might just be a day of rest ;-) I’ve perhaps been a little too ambitious with recent postings and have struggled to keep up… goodness knows how you do this on a daily basis… gold stars to you :-D Sorry to hear you’ve had probs with the link lists perhaps I should have emailed you before I posted to see what was up. Barbara – Ah… I did wonder if Switzerland was ahead of us here in the UK. Yes, by the chatting I have done recently it seems the smaller nurseries may just be happy to take back pots from the plants they have sold. One person told me they actually got a small amount of cash for them. I thought that was a great incentive.